Nicholas (series) by René Goscinny. My son absolutely loved this classic French book. It is a collection of short vignettes about the mischievous and charming Nicholas and his gang of friends from his all boys school. Each story contains Nicholas’s droll and deadpan commentary about the adults and his humorous descriptions of his friends, their cellphone-free antics and the inevitable chaos. Both my son and I laughed ourselves silly. One of the early stories does have the boys playing “Cowboys and Indians” but as I’ve written before, I use these as teachable moments instead of rejecting the book outright. The Problim Children (series) by Natalie Lloyd. This is the tale of an extremely quirky bunch of siblings who are left to their own devices while their parents are abroad. The house they are living in goes “Kaboom!” and they move into their grandfather’s house in the nearby town. Only one of the residents, Desdemona O’Pinion wants the house for herself and schemes to try and get the seven children sent to seven different continents. The Problim children, however, will not be deterred and they use their ingenuity to thwart O’pinion. Children who enjoy Dahl-esque antics and humor will like this new series. Tales of a Fourth Grade Nothing (series) by Judy Blume. We’ve actually read this book several times over the years. Plus my son has read it on his own a couple of times! When he was sick recently he requested I read it aloud yet again. He felt comforted by an old favorite. This is the first title in Blume’s Fudge series about Peter Hatcher and his 2 year old kid brother, “Fudge.” Older siblings everywhere will relate to Peter’s exasperation at his messy, loud, trouble making brother, especially since Peter seems to get the lion’s share of blame. Cursed by Bruce Coville. Angus is bound by a curse to the girl, Alex. Angus is a mischievous brownie with an extreme penchant for neatness, while Alex is the messiest creature he has ever encountered. Alex and Angus set out to break the curse, but it won’t be easy. This book is hilarious and offers parents plenty of opportunity for dramatic reading in silly voices. Be sure to read the companion books, Hatched and Trolled. Og the Frog (series) by Betty G. Birney. My son has long loved the Humphrey series and was so excited to discover that Birney was now writing a series about Og the Frog, Humphrey’s fellow classroom pet. Og dreams of returning to his native habitat but when the class decides to research whether or not they should keep him or return him to the wild, Og has second thoughts. After all, he’s come to think of the children as his friends. 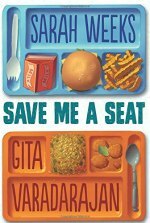 This is a wonderful, gentle and funny read aloud that is suitable as a read aloud for younger kids, too. The Incredible Adventures of Professor Branestawm (series) by Norman Hunter. 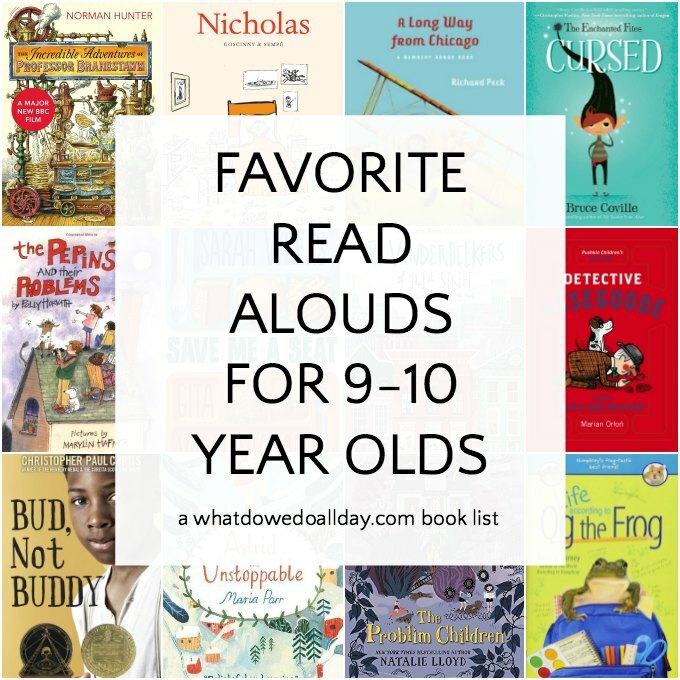 This classic book has all the important characteristics of a good read aloud. my 9 year old even made me read it twice, and since then he has reread it on his own a couple of time. An English absentminded professor provides lots of entertainment and laughs with his misguided inventions like pancake-making machines and burglar-catchers. A 1930s classic that will make modern readers giggle! Wedgie and Gizmo (series) by Suzanne Selfors. I had great fun drawing upon my silly voices superpower when reading this hilarious book aloud to my son! The narrative voice alternates between Gizmo, the self-proclaimed evil genius guinea pig, and Wedgie the rather dim-witted corgi who become part of the same household when their families merge. Selfors absolutely nails the personalities of the two creatures and your children will be rolling on the floor in tears of laughter. You’ll never be able to say the phrase, “furry potato,” with a straight face again. Bonus, this is a series, and when they come across a funny book series, kids keep reading! I also recommend the audiobook! Detective Nosegoode and the Music Box Mystery (series) by Marian Orton. I absolutely love finding English translations of foreign children’s books. This gem is from a Polish author. Mr Ambrosius Nosegoode is a retired famous detective living with his talking dog. But retired doesn’t mean much when in his new home in a small town he sets out to investigate a missing music box. This isn’t a rip-roariously funny book but there is a lot of subtle humor for discerning listeners and is a great mystery for kids who don’t like scary stories. A Long Way From Chicago (series)by Richard Peck. In depression-era Illinois, Joey and his younger sister Mary Alice spend 9 summers with their formidable, yet lovable Grandma. Each chapter is a self-contained story of one hilarious summer-time adventure and are perfect for family read alouds. Even though this book was written in 1998, it reads like an old-fashioned children’s novel. There are three books about the same family, this one was given a Newbery Honor. The third, A Year Down Yonder was awarded the Newbery Medal in 2001. The Pepins and Their Problems by Polly Horvath. I can’t believe I hadn’t discovered this gem of a book before now! Oh, how we laughed when reading it aloud. The Pepins and their very fine neighbor Mr. Bradshaw get into very peculiar scrapes while the author breaks the fourth wall, asking the reader to help solve the Pepins’ problems. The Pepins are not the sharpest tools in the shed and some of their antics reminded me of the hilarious stories of Chelm. If you want a book that will make your kids laugh, pick this one up next. The Vanderbeekers of 141st Street (series) by Karina Yan Glaser. It is just before Christmas and the Vanderbeekers are going to be forced to move from their beloved Harlem brownstone unless they can change the mind of their grumpy landlord who just happens to be their upstairs neighbors. This creative, bi-racial family sets to work to win him over in this appealing and heartwarming story the whole family will adore! 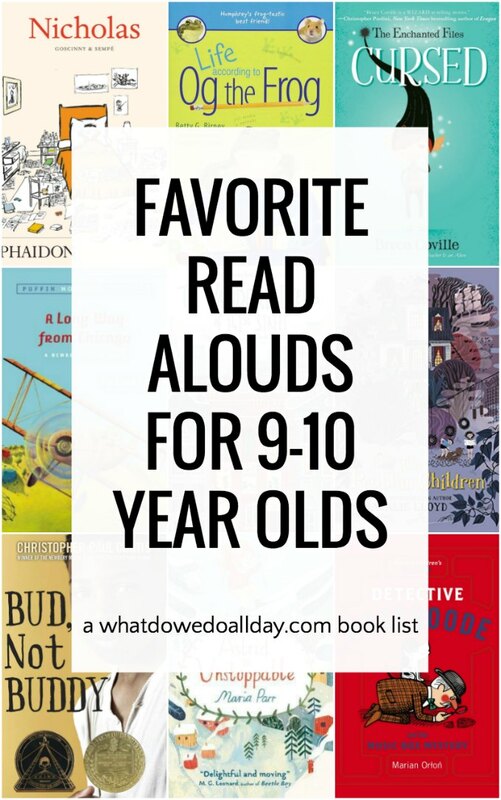 Read aloud for all ages! Astrid the Unstoppable by Maria Parr. We fell in love with Astrid in this Norwegian import and this book was by far one of our favorite read alouds of the year so be sure to put it on your December read aloud list. Plucky Astrid, who earned the nickname, “The Little Thunderbolt” may remind you of other intrepid heroines like Pippi or Inge Maria from When Mischief Came to Town (another one of my absolute favorite read aloud books). She loves to explore her beloved Glimmerdal, and her best friend is a crotchety old godfather, Gunnvald. One winter, a family comes to stay in the holiday cottages and Astrid finally gets some local friends to go adventuring with. But then she learns a secret about Gunnvald and things might never be the same. « Heart Geometry Puzzle to Make Your Kids Love Math! We are reading astrid the unstoppable right now and it is an utter delight! Thank you, thank you! What a wonderful list! You left out a perennial favorite with my 3-4th graders: the My Father’s Dragon series by Gannett. They love it! My latest crush is a two book series by husband and wife Matthew Swanson and Robbi Behr called ” The Real McCoys.” Robbi’ s illustrations make you think it is a graphic novel at first, but the illustrations reflect new character Moxie,’s imagination. I especially like her mention of her mentor, a fictional sleuth, a la Nacy Drew. The boys will love Moxie’ s precocious brother Milton.